Midgar Templehair 8-12 cm are the longer hair found on the skin. The pieces of skin do normally have different lengths of hair from 8-9 cm to 11-12 cm on it. 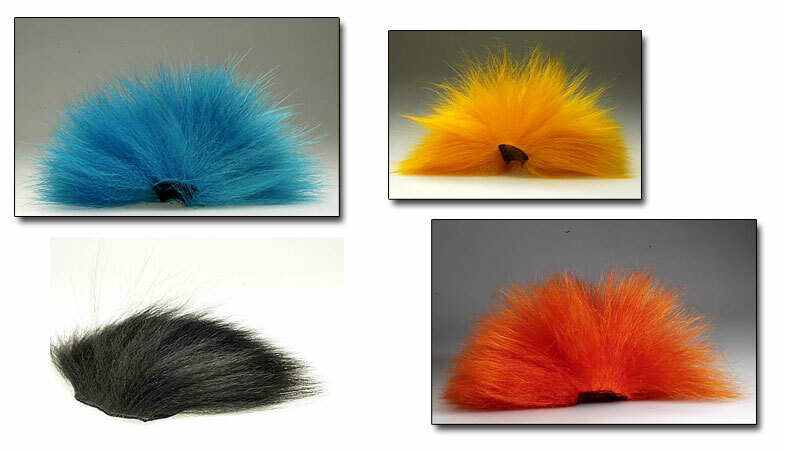 It is the perfect hair for making great tubeflies for salmon, steelhead or sea-trout! Midgar Templehair skin patch are around 6 x 8 cm before beeing dyed. Larger pieces are available upon request.